Soon it will be Halloween again! 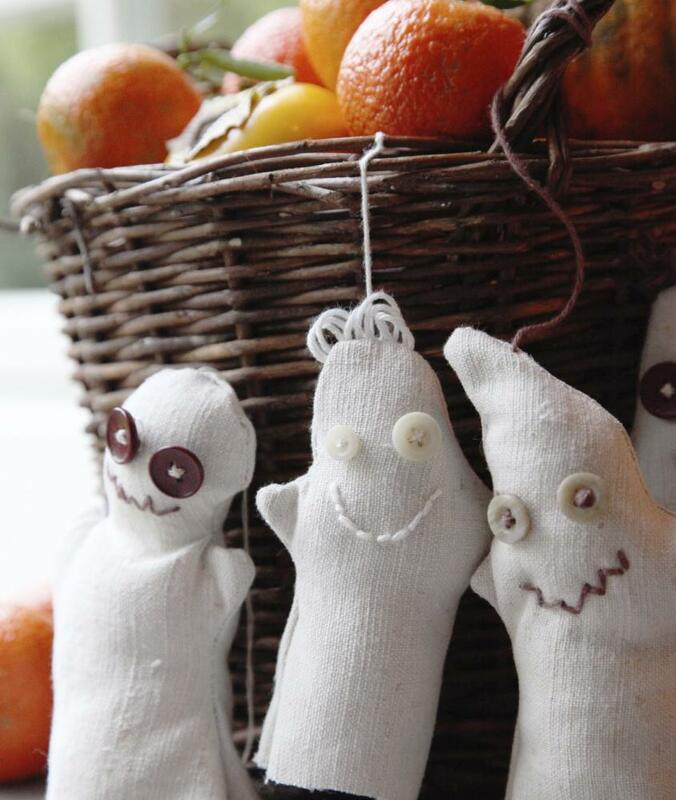 With a few scraps of fabric you can make these nice ghosts. 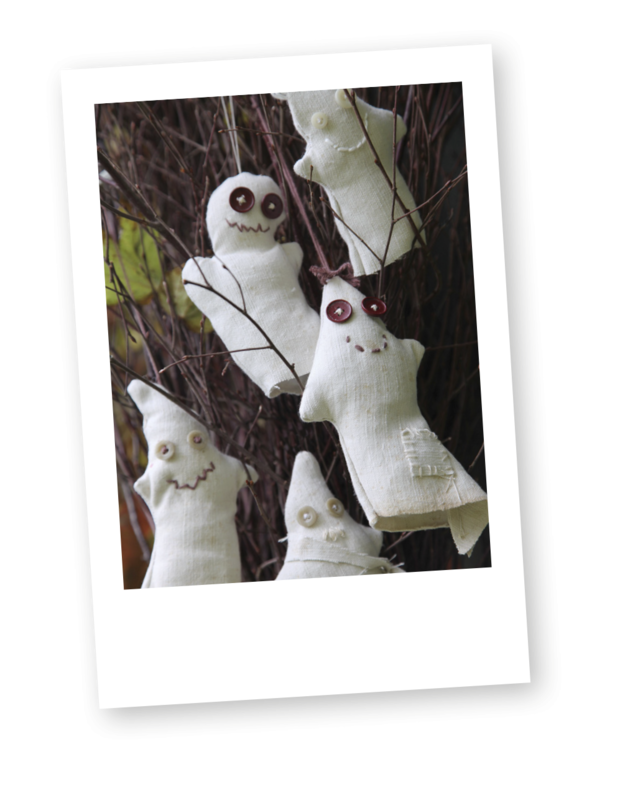 You can hang them in and around your house to create a real Halloween atmosphere. 1. Copy the patterns for each ghost (increase up to a height of approx. 15 cm) and cut them out. 2. Fold the fabric in half, with the right sides matching, pin the pattern to it, and cut it out. 3. Leaving the bottom open, sew the rest of the edges of both pieces together. Follow the dotted line on the pattern for this. 4. Reverse the ghost so that the right side is on the outside and fill with the fibrefill. 5. For each ghost, sew on two button eyes and use the wool to sew the mouth. If you like, you can also pull a few threads loose from the fabric to create a tuft of hair at the top or attach a clump of wool for hair. 6. Thread a piece of sewing thread through the top of the ghost, knot the ends of the thread, and then hang your ghost where you like.